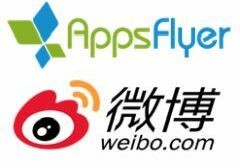 SINGAPORE, Sept 10, 2018 - (ACN Newswire) - AppsFlyer, the world's leading mobile attribution and marketing analytics platform, has announced a collaboration with leading Chinese social media platform Weibo. The partnership aims to improve the accuracy of digital advertising monitoring, and provide Chinese digital advertisers and media companies with a more comprehensive and effective digital advertising measurement standard. AppsFlyer's technology is found on 98 percent of the world's smartphones, making it the global leader in mobile attribution and marketing analytics. Data-driven marketers rely on AppsFlyer for independent measurement solutions and innovative tools to grow and protect their mobile business. AppsFlyer's platform processes billions of mobile actions every day, empowering app marketers and developers to maximize the return on their marketing investments. AppsFlyer's NativeTrack(TM) Attribution, Marketing Analytics Data, OneLink deep linking capabilities and Protect360 enterprise-grade fraud solutions have made AppsFlyer's platform the go-to resource for the most successful mobile apps in the world. With Facebook, Google, Twitter, Pinterest, Snap Inc., Tencent and 4,000+ other integrated partners, and clients including Alibaba, HBO, Waze, Skyscanner, Activision and 12,000+ leading brands worldwide, AppsFlyer has 15 global offices to support marketers everywhere. To learn more, visit www.appsflyer.com.